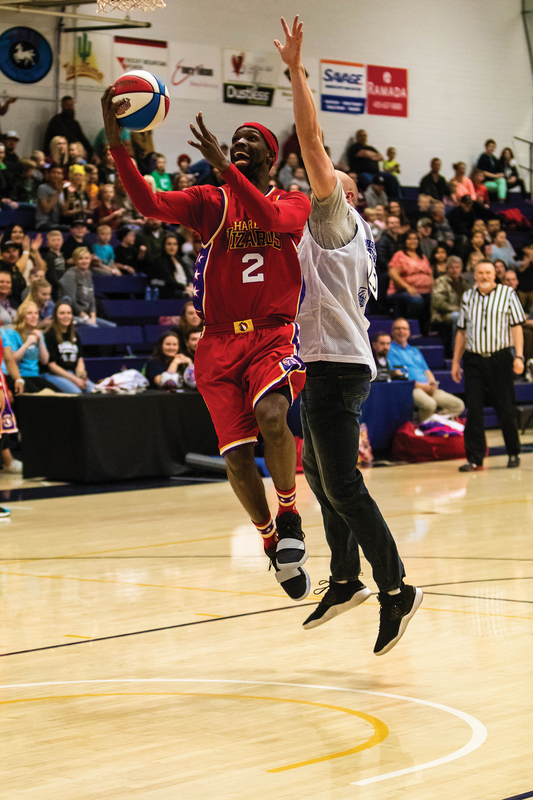 Trick hoops and alley-oops for a good cause is the premise of the Harlem Wizards visiting Utah State University Eastern to raise money for Carbon Caring For Kids. 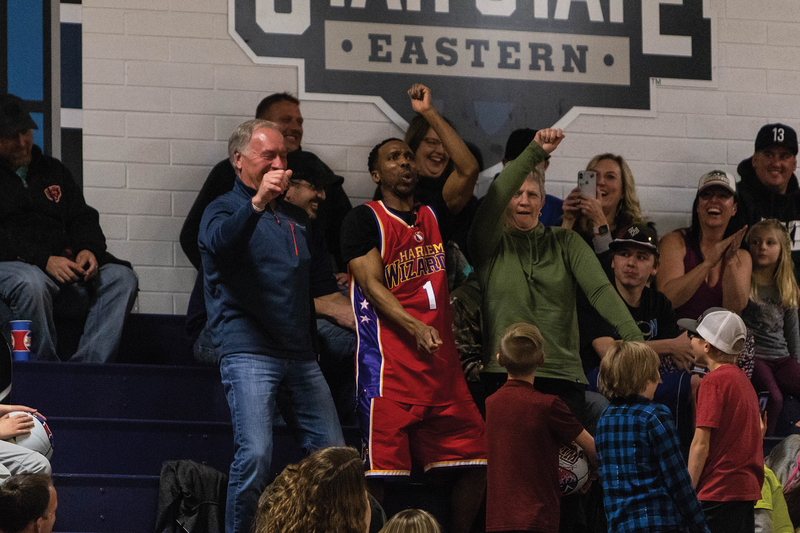 The Harlem Wizards entertain crowds with a comedic basketball game, instead of focusing on winning. 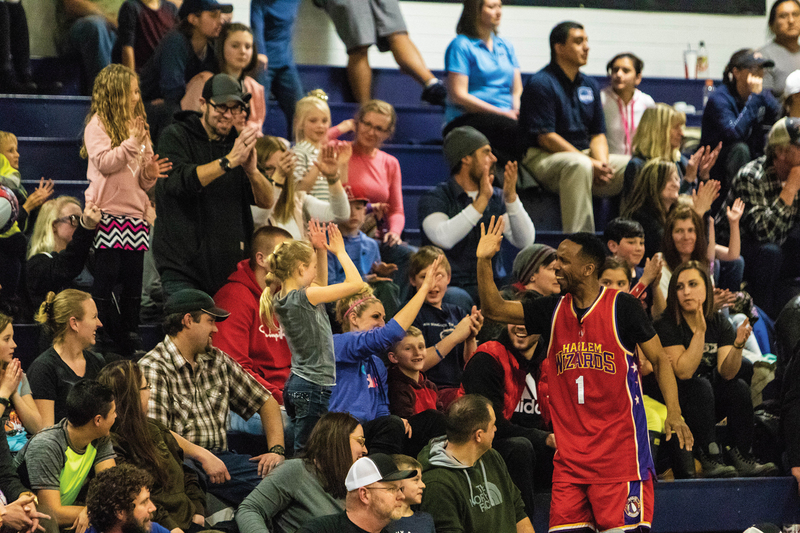 The fundraisers the Harlem Wizards are a part of raise millions of dollars for schools and charities. The Wizards were organized in 1962, 36 years after the Harlem Globetrotters, by sports promoter Howie Davis. They primarily do fundraising shows while the Harlem Globetrotters focuses on entertainment. The Wizards have four different teams that travel and raise money with. Each team having six members and a emcee. The Showtime team visited USU Eastern last week. The Wizards are sure to get the audience involved as much as they can. All of the children in the audience who are wearing a “whiz kid” jersey are allowed on the court to play with the Wizards. 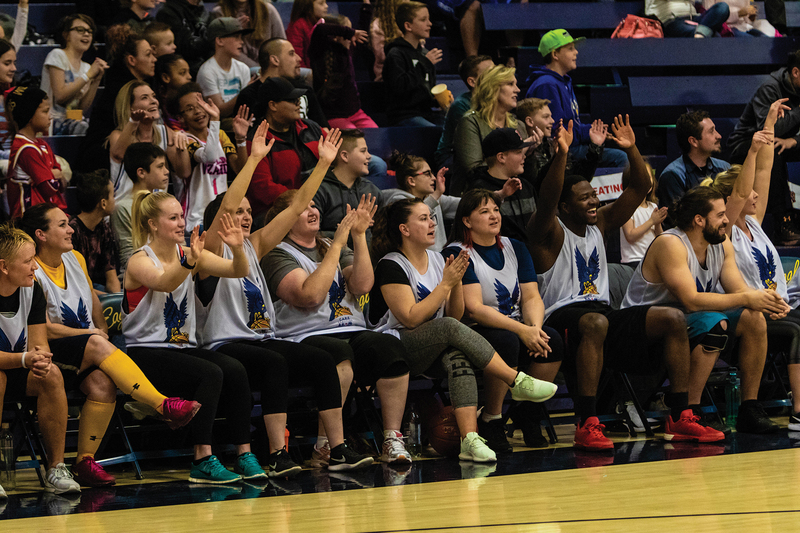 Carbon County’s community basketball team, the “Carbon Rockstars,” played against the Wizards and eventually lost the game. The Wizards made multiple jump shots, joked with the Carbon Rockstars and the audience during the game. During halftime, the USU Eastern spirit squad performed and reminded the audience where they were. Then 15 minutes was given to the audience to talk to, take pictures and get autographs from the players. Throughout the game, the audience bought Wizard souvenirs and all of the money spent went to Carbon Caring For Kids. This local organization donates shelf-stable food to children who benefit from food packages in Carbon County. Hundreds showed up to enjoy the entertainment and donate to a good cause. 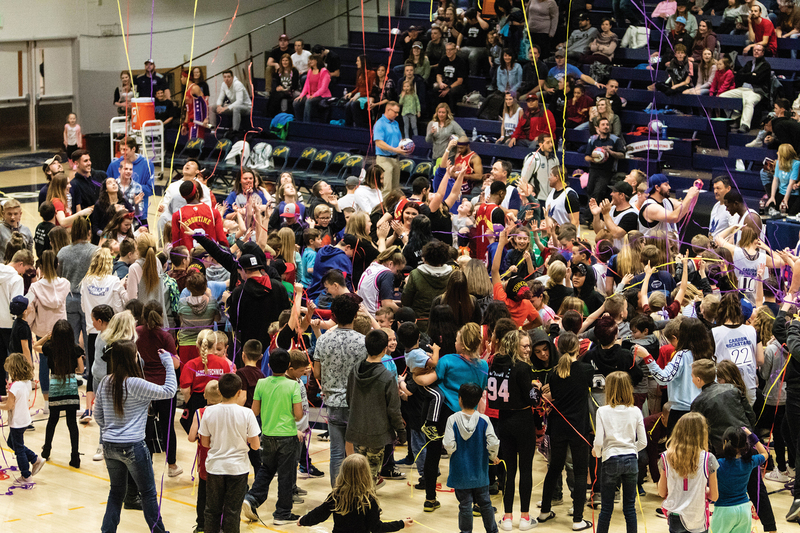 The USU Eastern SUN Center organized 29-student volunteers to help-who earned 174 service hours.This event also had many community sponsors including AJB Broadcasting, Castle County Hobby and Pawn, Castleview Hospital, PineTop Medical, Sutherlands and C.A.R.E Coalition. Carbon Caring for Kids are be presented with a donation total and check by the end of February.